Filled with culture and history, the quaint city of Eufaula, AL is a great family-friendly vacation destination for those looking for a relaxed place full of Southern hospitality. 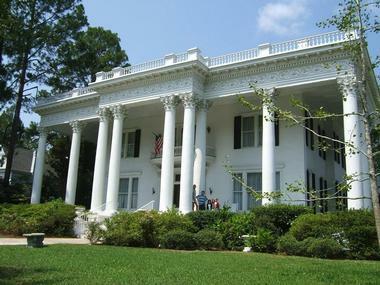 There are many historic sites scattered throughout Eufaula, from the Classic Revival-style Shorter Mansion to the elaborate murals of Fendall Hall. Beautiful outdoor spots include Lakepoint Resort State Park, the Eufaula National Wildlife Refuge, and the Fairview Cemetery & Arboretum. The Shorter Mansion was built by Eli Sims Shorter II in 1884. Sadly, the original structure burned down in 1900 and what visitors see today is the Classic Revival-style house which was designed in 1906 by Curran R. Ellis, a famed architect. 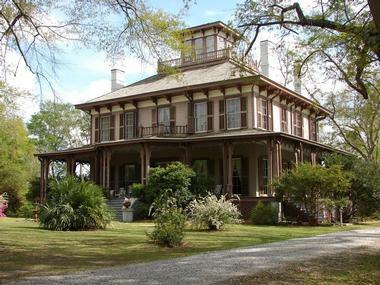 The house museum remained in the family, passing down from one generation to the next until 1965 when it was bought and restored by the Eufaula Heritage Association. There are tours held throughout the year for visitors to be able to explore what was once a social center for the small town. In addition to the gorgeous architecture, you’ll also come across many period antiquities and furnishings within the mansion. Fendall Hall is one Eufaula’s many historical sites and is owned by the Alabama Historical Commission and operated by the Friends of Fendall Hall group. Visitors will be able to see one of the most outstanding examples of Italianate architecture in the entire state. The structure has amazing features such as its ornate exterior form as well as the elaborate wall and ceiling murals in the parlor, entrance hall, and dining room. Much of the interior has been restored to include pieces which reflect how the house was furnished in the late 1800s. You’ll be able to witness the story of Eufaula’s prominent residents and the city’s evolvement into a major shipping and trading point. Located on the banks of the 45,000-acres Lake Eufaula, Lakepoint Resort State Park is one of the more popular places visitors and residents choose to spend their day at. The entire place is absolutely picturesque, and they have so many amenities to ensure you have a fun and comfortable visit. Some of the amenities include a marina, swimming complex, playgrounds, tennis courts, hiking trails, and a full-service restaurant. Their modern campground invites tent camping on their 192 sites which can accommodate RVs as well; additionally, there is a 101-room hotel, 29 cabins, and 10 lakeside cottages you can choose to reside at during your stay. Activities you can enjoy while you’re there include hiking, camping, swimming, boating, fishing, bird watching, and much more. The Eufaula National Wildlife Refuge protects and provides a habitat for many of the areas threatened/ endangered species while offering a host of recreational activities for visitors to enjoy and educate themselves with. You will wind diverse wildlife and habitats at the refuge, guaranteeing a thrilling experience for visitors of all ages. Some of the animals that you may come across while you’re there include American alligators, copperhead snakes, white-tailed deer, coyotes, wood ducks, and a varied array of birds - making it a paradise for birdwatchers. 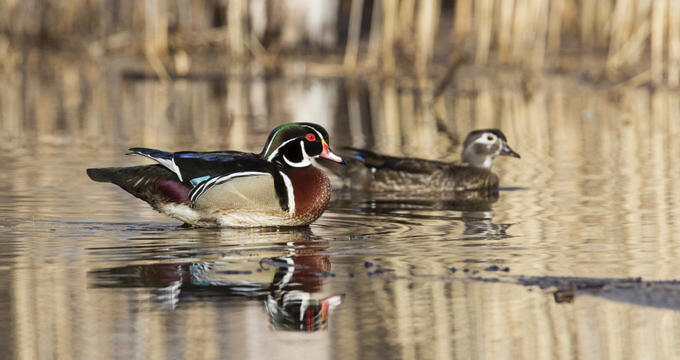 Other unique and picturesque aspects include being able to explore their seasonal wetlands, grasslands, and native prairies which houses these animals. Superior Pecans & Gifts is a different type of shopping experience that is personal, historic, and wrapped in southern hospitality. A visit there can last hours as they have so much for you to look through and try. Their most popular item is the Pecan Handstacks and they’re the only place in the world to make them. Other items from their collection include sauces, ciders, pecan oil, and their range of pickled goods. In addition to all the fun treats and gifts you could get for yourself and your friends, you’ll also be able to unwind with a delicious Rooster Brand coffee in their in-house coffee shop, have hand-dipped ice cream, or indulge in a gourmet milkshake. Yoholo Micco, popularly called the Creek Indian Trail, has attracted nature lovers, bird watchers, history buffs, and rail enthusiasts from all over the world. There are several interconnecting trails which display Eufaula’s picturesque setting, while also offering stunning panoramic views of Lake Eufaula. It’s a great place to spend the day outdoors, taking in Eufaula’s great weather on warm summer months. The nature trail/ rail trail extends almost 2½ miles and is open to the public throughout the year at absolutely no cost. All of the trails are paved, making it accessible to the handicapped, and allow pets as well as the use of bikes. Every day is Mardi Gras at the Cajun Corner Restaurant in Eufaula. They’ve perfected the flavors of the South, offering their patrons New Orleans-style dishes such as deep fried eggplant sticks with homemade remoulade dipping sauce, stuffed fish or shrimp, and North Shore pasta. While dining there be sure to try out their famous cheesy bread which is loved by their patrons. Their extensive menu is sure to have something for even the most particular palate, and for those who have a sweet tooth, don’t leave without having their homemade bread pudding or a slice of their chocolate and peanut butter pie. Phil’s BBQ has been around since 1991, providing their patrons with some of the most delicious barbecue meals in the state. They use the highest quality meats for their entrees and serve them with a range of southern-infused sides in a warm, family-friendly environment. Their menu sticks to the basics and focuses on providing the best sandwiches, ribs, and plates, which includes their chipped BBQ pork sandwich, pork garden salad, and rib slabs. All of their sides, such as their potato salad, cole slaw, stew, and mac & cheese and fresh and prepared daily to ensure the best flavor. Complete your meal with a slice of pecan pie or one of their assorted homemade cakes. It’s not very often that you find a cemetery on a list of things to see and do for a location, but Eufaula isn’t any old place and the Fairview Cemetery isn’t any old cemetery. This particular cemetery was established in 1868 and was laid out by the renowned Olmsted Brothers, who were famous park planners in their day. Throughout the grounds you will find over a hundred different species of trees, many of which were catalogued by biology professor Dr. Tom Ombrello, who worked diligently until the cemetery was accepted as a member of the American Public Gardens Association and received official arboretum status. Visitors are welcome to tour the grounds and its beautiful foliage throughout the year and an arboretum walking tour is led by Dr. Ombrello himself every year.